Even from behind the throne, a woman can rule. Narrated by the mother of Russia’s last tsar, this vivid, historically authentic novel brings to life the courageous story of Maria Feodorovna, one of Imperial Russia’s most compelling women, who witnessed the splendor and tragic downfall of the Romanovs as she fought to save her dynasty in the final years of its long reign. Barely nineteen, Minnie knows that her station in life as a Danish princess is to leave her family and enter into a royal marriage—as her older sister Alix has done, moving to England to wed Queen Victoria’s eldest son. The winds of fortune bring Minnie to Russia, where she marries the Romanov heir and becomes empress once he ascends the throne. When resistance to her husband’s reign strikes at the heart of her family and the tsar sets out to crush all who oppose him, Minnie—now called Maria—must tread a perilous path of compromise in a country she has come to love. Her husband’s death leaves their son Nicholas II as the inexperienced ruler of a deeply divided and crumbling empire. Determined to guide him to reforms that will bring Russia into the modern age, Maria faces implacable opposition from Nicholas’s strong-willed wife, Alexandra, whose fervor has lead her into a disturbing relationship with a mystic named Rasputin. As the unstoppable wave of revolution rises anew to engulf Russia, Maria will face her most dangerous challenge and her greatest heartache. From the opulent palaces of St. Petersburg and the intrigue-laced salons of the aristocracy to the World War I battlefields and the bloodied countryside occupied by the Bolsheviks, C. W. Gortner sweeps us into the anarchic fall of an empire and the complex, bold heart of the woman who tried to save it. When I was in high school, the animated movie Anastasia released. This was the first I knew of the Romanov story, even though it was fictionalized. I fell in love with the music and bought my own copy to watch again and again. When presented with the opportunity to read about this dynasty from the beginning, I was intrigued. It’s the story of Anastasia’s grandmother, Minnie, known to the Russians as Maria Feodorovna. We are treated to her story beginning in her teenage years as her sister plans to wed Queen Victoria’s son. This was a fascinating story about her rise to power and the family she bears along with the future of Russia. As a mother, I felt for her during the births of her children and how that affected the line ahead of the revolution. Given America’s current political climate, I can see similarities to how those in power will never be able to please everyone. Poor Nicholas whose only character flaw was being the firstborn son, got stuck assuming a power role he had no desire to fill. The descriptions of the jewels and balls and galas was sublime and just made the downfall even harder to read. I can’t imagine the trial of marrying someone who lives in another country speaking a new language, yet coming to consider that a new home. Maria makes the rest of us look bad, as she did it with ease. She was a woman many would hope of emulating today. Fans of Philippa Gregory novels will really want to pick this one up. It broke my heart to learn the movie Anastasia is not true, but alas, I’m no longer in high school and appreciated the real story. I can still recite many of the lyrics. Thanks to Historival Fiction Virtual Book Tours and the publisher for my review copy. C. W. Gortner holds an MFA in writing, with an emphasis on historical studies, from the New College of California. 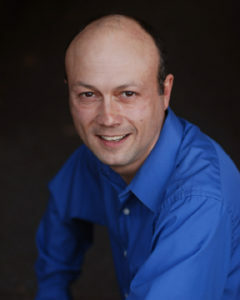 He is the internationally acclaimed and bestselling author of Mademoiselle Chanel, The Queen’s Vow, The Confessions of Catherine de Medici, The Last Queen, The Vatican Princess, and Marlene, among other books. He divides his time between Northern California and Antigua, Guatemala. To learn more about his work and to schedule a book group chat with him, please visit his website. You can also find him on Facebook, Twitter, Pinterest, and Goodreads. 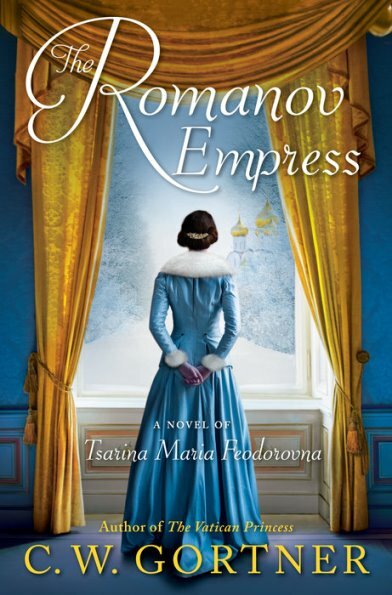 During the Blog Tour we will be giving away a copy of The Romanov Empress to one lucky reader! To enter, please enter via the Gleam form below. – Giveaway ends at 11:59pm EST on August 10th. You must be 18 or older to enter. Share book reviews and ratings with Caryn, and even join a book club on Goodreads.